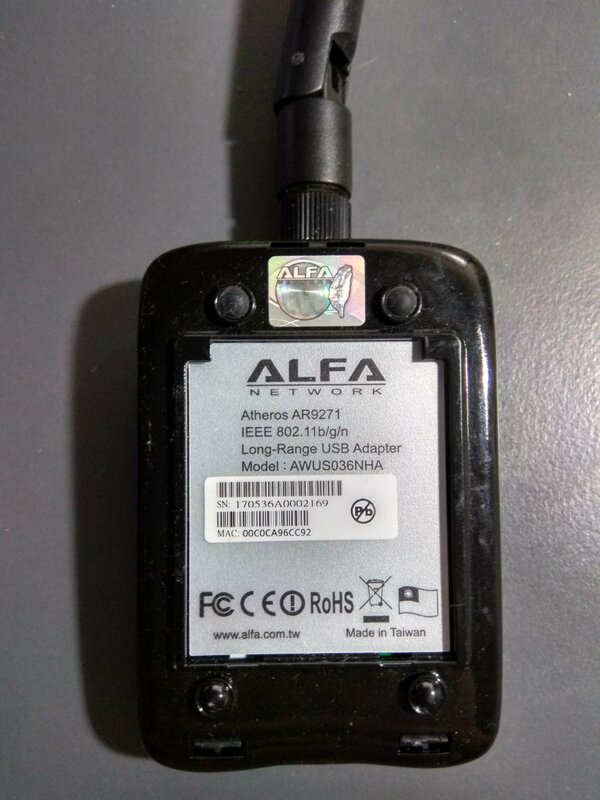 Alfa wifi adapters became famous because of its quality and the power of the device. If you are working as a pentester and you need to do a audit to a wifi network, this device is a must have. In this short tutorial we will use the Alfa AWUS036NHA , which is a newer model that has more capabilities (check apenddix). The awus036nha comes with an atheros ar9271 chip. Alfa has a lot of counterfeit models, make sure you buy the original. This adapter is only for 2.4ghz and it has a sma connector. This usb wifi card is compatible with 802.11g or 802.11n, mimo and supports data rate up to 150 mbps. We also recommend to switch the antenna for a better one, like the 8dBi TP-LINK omni directional a or the Alfa 2.4HGz 7dBi . Solution to "wlan0 is not injecting or proximity is low"
Driver for the card does not support injection.